The aim of the Center for Infectious Diseases is to foster epidemiologic and biomedical research and training in infectious diseases with an emphasis on public health and inter-institutional collaboration. The CID has been among the most successful programs in the Health Science Center in bridging academic units of the component schools. 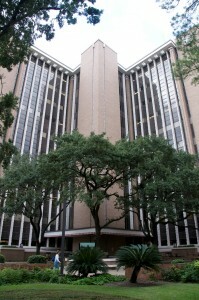 The principal participating institutions are The University of Texas School of Public Health, The University of Texas Health Science Center at Houston Medical School and Graduate School of Biomedical Sciences, working in collaboration with leaders form Baylor College of Medicine, MD Anderson Cancer Center and the Houston City and Harris County Health Departments. Resources of the Center have been dedicated to the development of research-oriented programs in Texas and abroad in the areas of diarrheal diseases, hepatitis, tuberculosis, HIV/AIDS and other emerging and re-emerging infectious diseases with efforts in epidemiology, clinical and laboratory sciences and health care administration. The Center for Infectious Diseases is dedicated to the control and prevention of existing, emerging, and re-emerging diseases of public health importance by bringing together the biological and clinical sciences.